LOS ANGELES -- A San Diego woman traveling from Mexico was caught at Los Angeles International Airport trying to smuggle in more than 11 pounds of crystal methamphetamine tucked away in the lining of her suitcase. U.S. Customs and Border Protection officers said they spotted the 27-year-old woman on July 18 and decided to do a secondary inspection, because she was acting in a nervous manner. 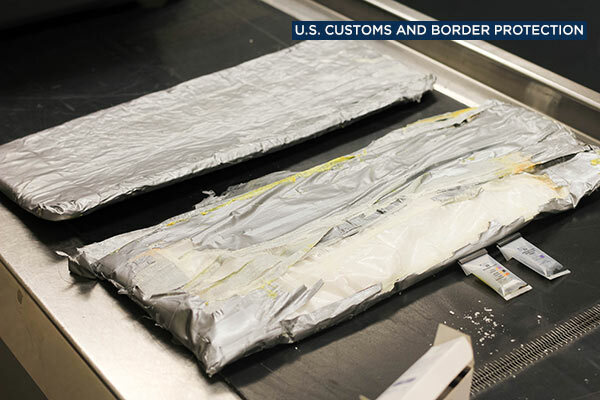 That's when officials discovered a false compartment in her luggage that contained packages of crystallized meth wrapped in tape. U.S. Customs and Border Protection officers display crystal meth found hidden in a woman's luggage at Los Angeles International Airport on July 18, 2016. Officials seized 11.24 pounds of crystal meth, which has an estimated value of $160,000. The woman was arrested and turned over to special agents with the U.S. Immigration and Customs Enforcement Homeland Security Investigation for further processing and investigation. Authorities said the woman is a U.S. citizen from the San Ysidro area. She traveled to Los Angeles from Guadalajara. 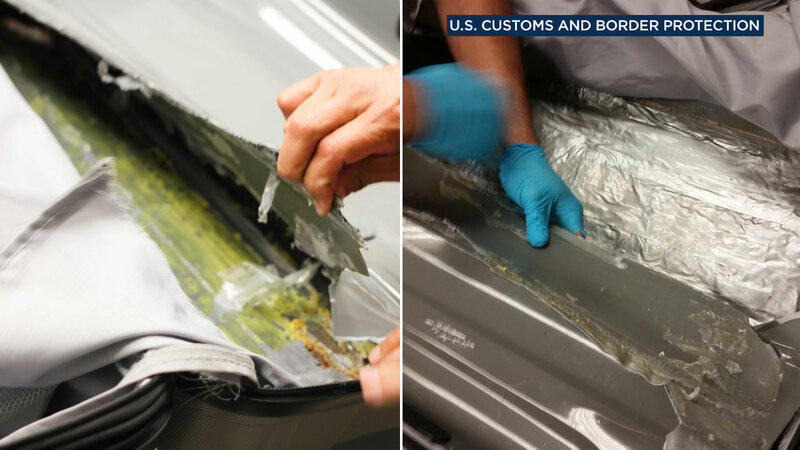 The U.S. Customs and Border Protection says its officers seize more than 9,000 pounds of narcotics from the country's 328 international ports of entry on a typical day.